Alethia Browning Tanner, “Alethia Browning Tanner,” Histories of the National Mall, accessed April 23, 2019, http://mallhistory.org/items/show/113. Alethia Browning Tanner was an enslaved woman who ran her own vegetable market in Lafayette Square in front of the White House during the late 1700s and early 1800s. She was highly successful, counting President Thomas Jefferson among her customers. By 1810 she had saved enough to purchase her freedom: $1400. She continued to be successful in business, and was an important member of the early free black community of Washington, DC. Altheia Browning Tanner was born in the late 1700s. She and her two sisters were slaves on a plantation in Prince George's County, Maryland. While still a slave, she opened a vegetable market in Lafayette Square, where her customers included President Thomas Jefferson. She bought her freedom in 1810 for the price of fourteen hundred dollars. Tanner continued as a successful businesswoman and used some of her profits to free family members and friends. She bought the freedom of the sister who had remained in slavery, many of her nieces and nephews, and even friends and neighbors in Washington. 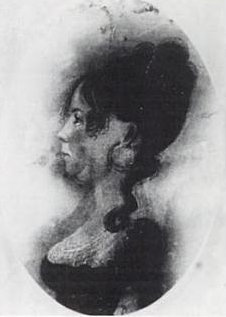 In addition to purchasing the freedom of her nephew John Cook, she helped fund his education. Cook attended the Columbia Institute with her help; he later became the head of the school, renaming it the Union Seminary. Tanner supported the African Methodist Episcopal Church. She not only contribute her time and efforts, she co-owned the mortgage on the church which she attended. Notable Black American Women, ed. Jessie Carney Smith (Detroit: Gale Research, 1996), s.v. "Alethia Browning Tanner".